Everest Group’s Next Wave Location Profiles provide crisp, yet insightful assessment of emerging / “Next-wave” countries or cities for services delivery. 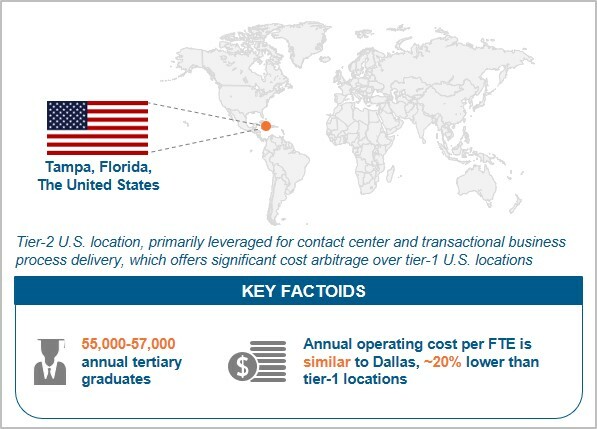 These reports help global sourcing practitioners or location strategy professionals stay ahead of competition in understanding global sourcing opportunities in “Next-wave” locations. Next Wave Location Profiles, along with other reports in Everest Group’s Locations Insider™ membership, make up the industry’s most comprehensive resource on location trends and perspectives. Membership to the Locations Insider™ provides up-to-date and actionable insights to base companies’ location decisions and strategy.